Ongoing Construction: The new Hickory Run Visitor Center and Office is under construction. Please be aware of large construction vehicles and equipment travelling through the park. The work will take place adjacent to the family campground. The campground will remain open throughout the construction period. Please pardon our mess and noise while this work is being completed. Thank you for your patience. The park is within a two or three-hour drive from Harrisburg, Philadelphia, and New York City and one hour from Allentown, Scranton, and Wilkes-Barre. From I-80, take Exit 274 at the Hickory Run State Park Exit, and drive east on PA 534 for six miles. From the Northeast Extension of the Pennsylvania Turnpike, take Exit 95 and drive west on PA 940 for three miles, then turn east on PA 534 for six miles. 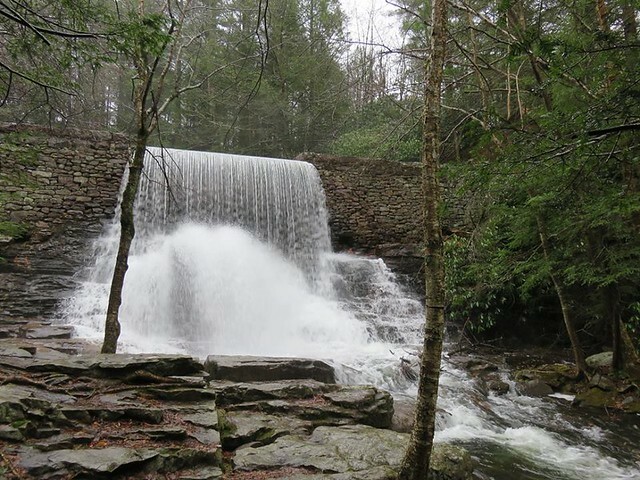 Visit a neighbor -- Lehigh Gorge State Park! Diverse habitats and forest types, extensive wild areas, and unique geological formations make Hickory Run an excellent outdoor classroom. From March to November, an environmental education specialist conducts hands-on activities, guided walks, and presentations on the natural and historical resources for school groups, scouts, civic organizations, and the general public. Curriculum-based environmental education programs are available to schools and youth groups. Group programs must be arranged in advance by calling the park office. Teacher workshops are available.